Before any method of separating cellulose was discovered, paper was manufactured exclusively from discarded clothing, sailcloth, ropes and other fibrous products. By 1800 there were about 430 paper mills in England and Wales and less than 50 mills in Scotland. A large proportion of these paper mills were producing brown paper, categorised as ‘browns’ in the trade directories of the time, consuming old ropes, bagging, tarpaulins, and ‘all other fibrous rubbish worthless for any other class of paper’. Wrapping papers were extensively used and several special papers existed for shopkeepers. There were special grades for wrapping butter, tea and flour, whilst ‘blues’ and ‘purples’, essentially describing the colour of the paper, were used for packaging sugar, which was not purchased in granulated form as it is today, but sold as cones or blocks. ‘Small hands’ was the grade of choice for drapers, and even pins and sewing needles had their own special wrapping paper. Stowford Mill at Ivybridge, located between Plymouth and Exeter, was well situated with regard to the accessibility of imported rags. The growing local populations also offered a ready supply of discarded clothes. The Plymouth Dockyard during the nineteenth century conducted sales for discarded naval supplies described as ‘paper stuff’ which included rags, ropes, hammocks and canvas, all regarded as good material of paper making. I am sorry to say that cholera has made its appearance in Ivybridge. There have been 4 fatal cases. Two healthy women were at work at the paper mill the day before yesterday, were taken ill the same evening and died before the next morning. Cases of small-pox continued until an inquiry was held by one of the Medical Inspectors of the Local Government. This resulted in improved ventilation of the rag loft and improved sanitary precautions. As a result, no cases of small-pox were reported after 1885. Outbreaks of cholera in parts of Europe during the late nineteenth century, led to a complete prohibition of the importation of rags, firstly from Spain in 1885 and later from Italy in 1887. In 1849, a former woollen mill located at Keaton Road in Ivybridge was acquired by John Allen, the owner of Stowford paper mill. This site, known as Lower Mill, was used solely to process rags for the paper mill. Incoming rags, which had been sorted at premises in Millbay Road, Plymouth, were then macerated to form ‘half-stuff’. The maceration process or ‘breaking’ as it was known, was performed in trough like machines called Hollanders, developed in Holland and patented in 1682. The half-stuff was then transported by horse and cart to the paper mill for bleaching, followed by ‘beating’ – a process of further maceration in smaller Hollanders, to fully separate the half-pulped mass into individual fibres. Today breaking and beating have been replaced by the modern techniques of pulping/slushing and refining. In 1924 part of the Lower Mill site was sold and rag processing ceased at this location. The remaining buildings served only as a storage facility for rags for the main paper mill. Rag processing however continued at Stowford Mill. 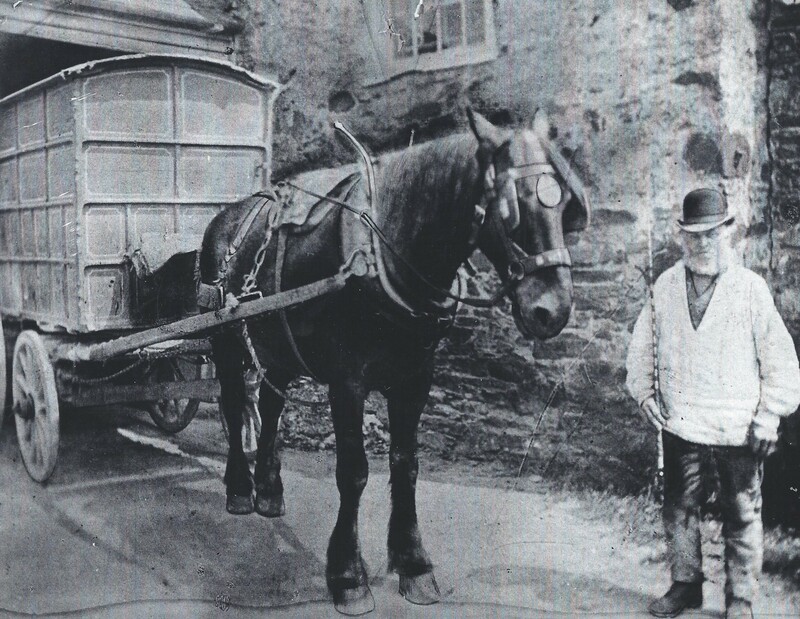 The British tradition of door-to-door collections of old clothes by the Rag and Bone Man stemmed from the demand from the paper industry. Clothing provided the fibres whilst the bones provided gelatine which was used to size the paper, a process of sealing the porous surface to prevent ink from feathering. “The Old Mill Ivybridge , used as a store by Stowford Paper Mills, were completely gutted by fire yesterday. The fire started in the early hours of the morning, and at midday was still smouldering, although the flames had been extinguished. 6 fire engines and a turntable were brought into operation under command of Fire Force Commander G Drury. The engines came from Plymouth, Plympton and Plymstock. In addition there was a pump from Stowford Mills. The outbreak was discovered by a watchman at the mills and he immediately communicated with Plympton Fire Bridge who were early on the scene. A plentiful supply of water greatly facilitated the work of the fire fighters. Salvage of about 100 tons of material for paper making, mainly rags, was effected by the fireman, assisted by employees at the mills. Some machinery had been lost and is buried in the debris. The extent of the damage is unknown. Volunteers from the female section of the National Fire Service with their mobile canteen attended the firemen”. For young lads just starting work at the paper mill, the rag loft was a very intimidating place. A former employee recalls cuttermen sending young men up to get rags to clean down the paper cutting equipment. An experience never to be forgotten apparently! Work in the rag loft at Stowford Paper Mill was dirty and generally unpleasant. Apart from sorting the discarded clothing, a major task was to remove all items that could cause problems in the paper making process such as buttons, clips, elastic and synthetic materials. A sharp vertical knife was fixed to the bench with the blade facing away. The offending part was cut off by the operator, drawing the piece of clothing towards her. It was not uncommon for family groups of women to be employed in the rag loft at Ivybridge. 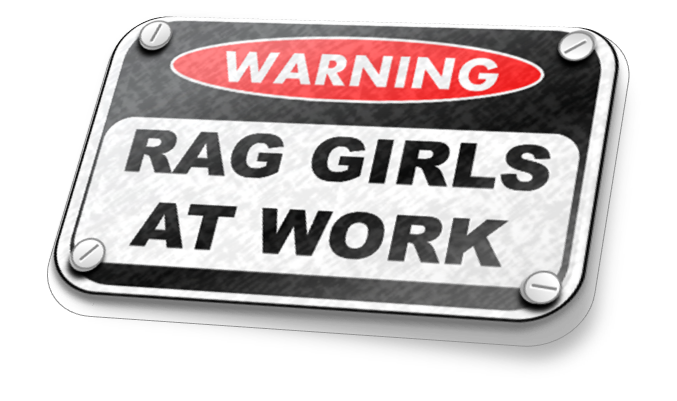 It was known that 3 generations of local families worked there, with one ‘rag girl’ clocking up an extraordinary 49 years of service! It was normally the ambition of the rag girls to transfer to the cleaner environment of the ‘Salle’ as soon as they could; this was at the other end of the mill where the finished sheets were sorted and counted. Ground contractors working on land for the new Paddocks housing estate near the Leisure Centre were discovering hundreds of the white buttons daily. Explanations as to why exactly so many buttons were being unearthed ranged from the quip “they have come off jacket potatoes”, to the theory that, as the buttons appear to be made of bone, they were spread by a farmer years ago as a form of bone meal. A week later the Gazette reported that the mystery of the buttons was all ‘sewn up’. Calls had flooded into the Gazette office, all with the same story – that the mystery cache came from the town’s paper mill. Cartloads of buttons had been deposited at the Filham site since the mill opened. Around 1869 pipes were laid from Stowford Mill to a field in the direction of the River Erme, where settling beds were established to remove solids from the mill waste water before it was discharged into the river. Waste water was crudely treated by filtering through cinders, originally from the mill’s coal-fired boilers. There was also an area where waste from the Rag loft could be dumped. Once the Paterson Sedimentation Plant was installed in the mill grounds, the settling beds became redundant and eleven years later, there was no waste from the Rag Loft as rag processing discontinued. Eventually the paper mill was able to sell the land to the District Council who transported accumulated mill waste to a nearby redundant quarry. By the 1950s there were major problems with rags due to the growing use of synthetic fibres in textiles. Additionally, difficulties of river pollution from the caustic soda used in rag boiling and bleaching processes were becoming more and more acute. By the late 1950s the processing of rags was under question, but there was little option but to continue their use, as the core business at Stowford Mill lay in the production of rag papers. In 1969, attempts were made to overcome the rag boiling problem by using a different method of processing. This employed the use of a large stainless steel commercial washing machine, known as the Cherry Tree Washer, and the idea was to recirculate and reuse the liquor, so it would produce much less effluent than the conventional rag boilers. The Cherry Tree Washer was used on and off for the next few years, but due to practical difficulties, it was not a great success, making it necessary to bring the old rag boilers back into use from time to time. During 1973 and the so-called three-day-week, Stowford Mill experienced a sudden collapse in business with orders being cancelled.This proved to be the catalyst for the discontinuance of rag processing, bringing the 185 year old tradition to an end. Work began to dismantle the equipment. While the loss of rag as a raw material was, at the time, regretted by some, it was considered by many as a blessing. The rag issue had dogged the industry for centuries. Supplies were always difficult and quality variable. Also, the working conditions in the rag lofts were unusually awful for the women rag-sorters. Whilst we all may think of recycling as a modern phenomenon associated with preserving the environment, paper making of the nineteenth and early twentieth century was undoubtedly an industry of ‘recycling personified’, being based on the use of recycled fibre, mainly sourced from discarded clothing. Special thanks to Colin Harris for the supply of a wealth of information relating to the use of rags, taken from his two books entitled ‘Stowford Paper Mill and the Industrial Heritage of the Erme Valley’ and ‘Random Writings Devon and Beyond’.